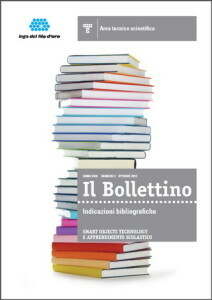 The latest issue of “Il Bollettino” of the Centro di Documentazione (n. 3, from October 2013), published by the Lega del filo d’oro (LDFO) is dedidated to Smart Objects Ttechnology and School Learning (n.a. “e apprendimento scolastico” in Italian). See the full issues <here>.